Beeldbewerking voorbeelden. Invicta watches. Swinging onto the MARVEL scene in 1962, the young Peter Parker captured attention with his noble crime-fighting endeavors as SpiderMan. 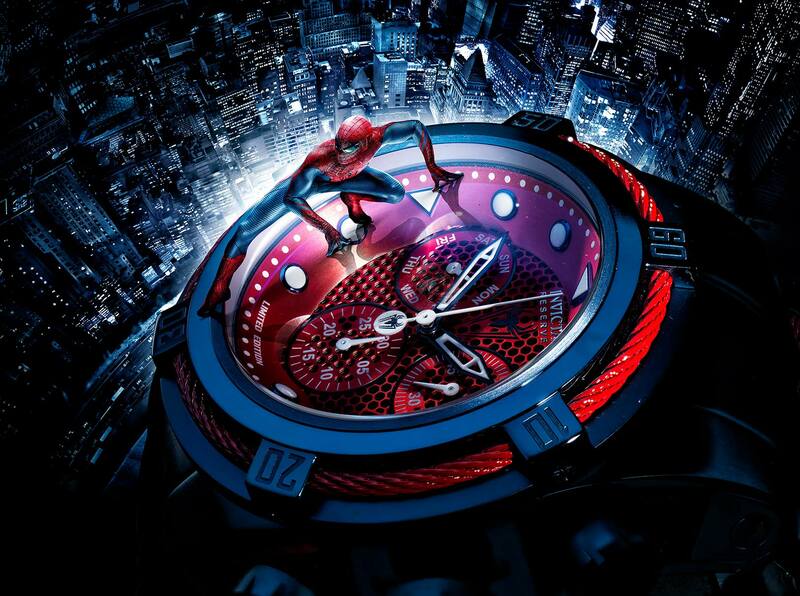 Web slinging in the name of justice, Spiderman continues to inspire like a Super Hero and pursue like a man. With great power comes great responsibility.